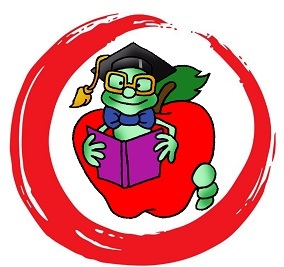 RAISE MONEY FOR YOUR SCHOOL AT ZACHARY’S! 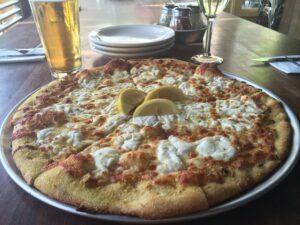 ZACHARY’S VOTED ‘BEST PIZZA’ IN EAST BAY EXPRESS READERS’ POLL! Breaking news! 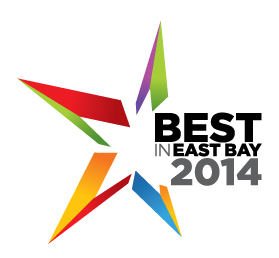 Zachary’s is voted BEST PIZZA in the East Bay Express Readers’ Poll! Thank you to all the voters and congratulations to all the winners! We are THRILLED!! To check out the results, click here. We are thrilled to announce Zachary’s is voted BEST PIZZA in Oakland Magazine’s Best of Oakland 2014 and Contra Costa Times’ Best in the East Bay 2014. Thank you to all of our customers for your support and love, and to all the employee-owners for their hard work and love! 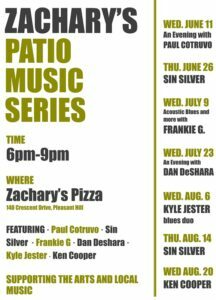 Join us at Zachary’s Pleasant Hill for our PATIO MUSIC SERIES beginning Wed 6/11! A thin style pizza with a garlic, fresh herb and olive oil base topped with mozzarella and ricotta de latte cheeses, garnished with fresh lemon. 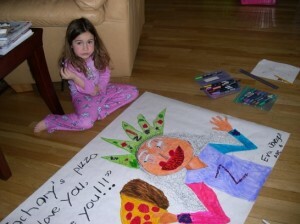 The walls of our restaurants are filled with one-of-a-kind Zachary’s Pizza Art. We held our first art contest in the late 1980’s and the tradition has continued every couple of years to this day. We love our art and the artists. 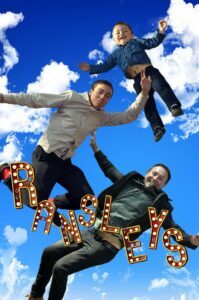 Ladies and Gentlemen, meet Ian Ransley. 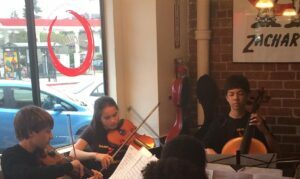 Zachary’s on Solano hosted a fundraiser for Berkeley High School Band and Orchestra in April. We received this very special treat from these talented young musicians. WE LOOOOOOOOOOOOVE IT!